The City of Liberal will be working extended hours to assist in the tree removal from the recent ice storm. Crews are working a city-wide systematic approach to ensure all roadways are clear followed by residential streets and finally city grounds, such as parks or other grounds. Please use extreme caution or avoid public areas that have not been cleared. The city is requesting that residents move all trees and limbs to the curb no later than January 31 for pick up. Contracted tree removal services are not associated with the City of Liberal nor are their services eligible for drop off services. Commercial Contractors may drop off at the Activity Center. 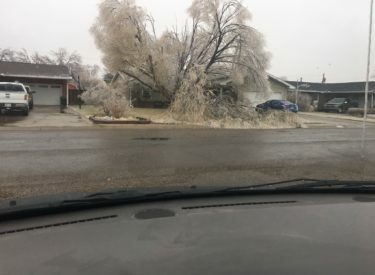 Residents may drop off trees and limbs at the Mid America Air Museum parking lot or at the Seward County Activity Center.